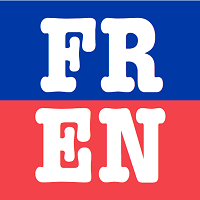 ELLSWORTH, Maine — Sophomore Jaren Hartt registered third place in the 106-pound weight division and senior Reece Pelletier captured fourth in 152, leading the way for the Fort Kent Community High School wrestling team in Saturday’s Class B regional championships held at Ellsworth. Hartt opened his day by winning by fall over Connor Fournier of Belfast and then he lost by major decision to Alex Burbank of Bucksport. 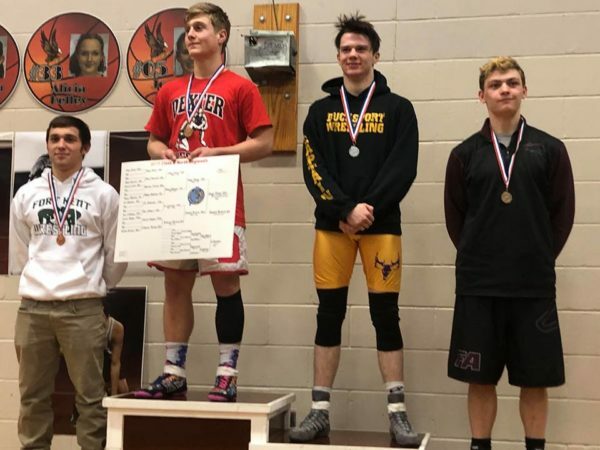 He came out of the consolation round to defeat both Dexter’s Nathan Mower and Sawyer McCarty of Foxcroft Academy to earn the bronze. Pelletier pinned Patrick Curtis of Belfast in his first-round match, and then was pinned by Gage Stone of Dexter to head into the consolation rounds. Pelletier then won by a 17-1 technical fall over Piscataquis Community High School’s Isaiah Bagley in the semifinals before losing in the consolation finals to A.J. Atkinson of Foxcroft Academy on a third-period pin. 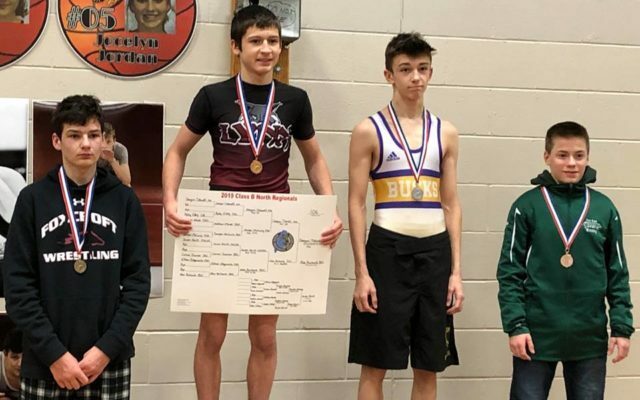 Both Hartt and Pelletier earned the right to compete in the Class B state championships, to be held Feb. 16 at Mattanawcook Academy in Lincoln.